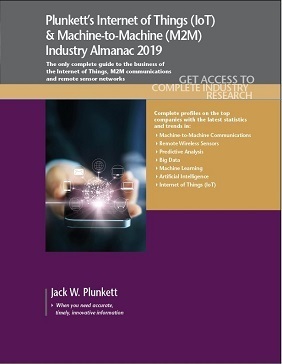 Download MARC Records for your Plunkett eBooks - Plunkett Research, Ltd.
For those of you who are utilizing Plunkett Research’s terrific Industry Almanacs in eBook format, please note that you can download MARC records for these eBooks anytime you want, at: https://www.plunkettresearch.com/marc-records-for-ebooks/. This page includes an archive of MARC records, from the newest titles back to 2010 editions. 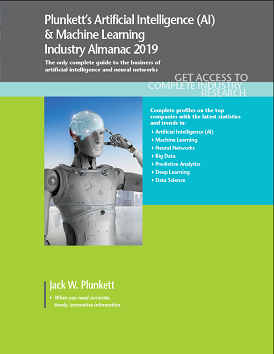 Plunkett Research has begun releasing its 2019 Industry Almanacs in printed and ebook formats. The 2019 collection will be published over the next several months, based on a pre-set research and editing schedule. You can download the complete 2019 list with prices, ISBNs and publication dates under the “Order Forms” section of our Catalogs page: https://www.plunkettresearch.com/catalogs/. Artificial Intelligence (AI) will rapidly be adopted by virtually all industry sectors. It will create synergies with everything from robotics to gene sequencing to jet airliners. Banks will make lending decisions with AI, engineers will rely on it for help with sophisticated design decisions, manufacturers will rely on it for efficiency, and marketers will utilize AI to push advertising campaigns to the most likely audiences. Massive amounts of investment are pouring into AI in such nations as the U.S., Japan, China and Germany. The Internet of Things, along with the related technology of Machine-to-Machine Communications, will soon be a major change in the way that we communicate with, monitor and control virtually everything: from self-driving cars—to air conditioning systems—to industrial plants—to airliners. Billions of dollars are pouring into this sector now, which will create a vital leap forward for the environment and sustainability, health care, transportation and manufacturing, to name but a few uses.